Innovator,international networker and Former Lady Mayoress of the City of London. Graduating with a degree in Biochemistry, I moved from sunny Scotland to London, trained as a stock broker and I loved it. Despite running organisations within both the public and government sectors I never dreamt I would end up building an app. Creating butterfly and bringing it to reality shows that passion and determination work at any age! working as a senior level business consultant for the last ten years; Kuki is the ultimate multitasker. Working with companies to advise, help with business development,strategic project development and management. Energetic and self-motivated with proven accomplishments, her strengths lie in strategic analysis of a business’s strongest route to success, building relationships with target clients and generating new business opportunities in specific markets. Well, you can guess why we hired her! Plus she has puppies - how cool is that! Singer, Songwriter & Vocal Coach, with numerous credits including No 1 hits, Billboard top 40 songs and Ivor Novello nominations. The Official X-Factor Vocal Coach for One Direction and mentor to Jessie J. Now working on the Voice ,whilst juggling butterfly and a beautiful baby boy. From the first time Ali and I met - we just hit it off. We both felt there was more to achieve in our lives but the desire to succeed was equally matched by a genuine need to give something back. Nick has been with us since the birth of butterfly. And apart from repeating NFL - (Not for Launch) at most meetings - we still love him. Working in IT from the time dinosaurs walked the planet, having built and sold two companies and co- founding Alliants in 2009 - he's a smart bloke. Nick likes to think we made him our CTO for his global knowledge of coffee varieties and that he knows his Port from his Starboard! - but we know better. Dijon graduated from The University of York with a degree in Philosophy, before completing his Master’s degree at Birkbeck. A self taught artist he has exhibited at the Royal College of Art, Central Saint Martins and LAB art in Los Angeles,exhibiting alongside many artists including Tracy Emin and Chris Levine. Having bought some of Dijon's art, it didn't take long to realise he had the skills that butterfly needed. Luckily, Dijon thought the same - and as they say the rest is history. Dijon now leads butterfly design. Graduating from Oxford Brookes in 2016, Leonora or Leo to her many friends! spent her time meeting deadlines, no NOT just the essays but the parties! We knew Leonora would fit her role as Butterfly’s Social Media Guru - wonderfully having seen her creative talents in the kitchen, making a trifle beautiful and a soufflé two foot high. Ali and Dijon eat a lot! It was a unanimous vote! Alliants is a Technology Consultancy and Software Engineering company that helps businesses old and new conquer and embrace the digital age whether it's building apps, website development or eCommerce strategy. So we didn't hire them for their pizza making skills, elegant dress codes or music tastes - but rather the stuff we couldn't build in our kitchen! Thanks Guys we wouldn't be here without you. No we didn't just choose Rick and BGA because they are dog friendly but because they are jolly good at what they do - crunching numbers, stapling receipts and other boring but necessary accountancy and tax stuff. Oh and the dogs, Mollie and Cassie are Border Collies, the ideal breed for rounding up client's and passing sheep. Brothers Joe and Jack Carrano are a prime example of butterfly users. Young, hip, creative and sushi aficionados! 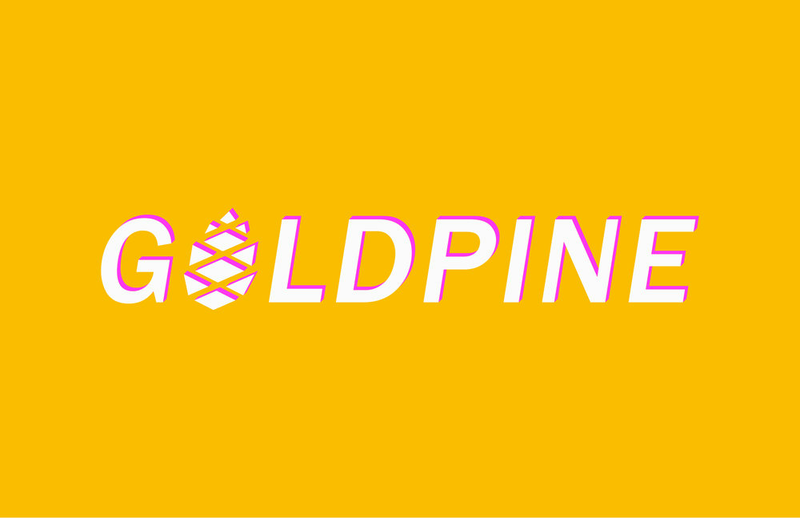 After studying Film at the University of Hertfordshire they set up Goldpine in 2015. Since then, this independent and visionary film company has worked for leading UK art galleries, produced several music videos and award winning short films. We couldn't afford to buy the company, but we liked them so much - we hired them to be butterfly's official videographers. PS. Don't tell anyone, but Jack is also Fiona's personal "street talk" translator e.g. "Boss it's Grime aka Stormzy - not Grind - that's a different kinda song!" Sam Dedewo runs APE Multimedia and is butterfly's Animation and Motion Graphics Guru. 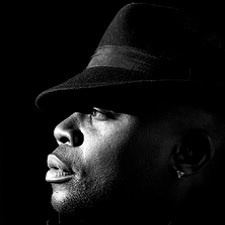 A producer, songwriter, 3d animator, graphic designer and more. Devilishly handsome, a martial arts expert and a Chocoholic - Sam can demolish a Toblerone with his pinkie. And as for a Chocolate orange - well its messy! Hanger out with the stars, king of car karaoke, seeker of the peace, part time chandelier cleaner, a legend in his own dog years, oppressor of champions, soldier of fortune, world traveller, bon vivant, tree carrier, international lover, casual hero and philosopher. Wars fought, bears wrestled, equations solved, virgins enlightened, revolutions quelled, orgies organised, bars quaffed dry, chickens frightened, governments run and test rockets flown. In his spare time Beau is a Civil rights activist. Mantra - It don't matter now! At butterfly we believe in equality. So if you know animals you will understand that 2 dogs = one super cool cat! 'W' is a prime example of why cats need 9 lives - he packs it in and we dont just mean the Whiskas! When he is not commandeering the neighbourhood, editing Countryfile or filming Celebrity Master chef, he is Silvio Dante's double in the Sopranos, an experienced base jumper, free runner, gamer extraordinaire, secretary of the RSPB, part time psychic and pilates instructor. Mantra - Move over Beau. And Jigme give me my record back! All round good guy and "Partner in Grime "with Beau, lover of Sartre and the Beano, muncher of the biggest bones and lover of squirrels. Guilty secret, playing - I've Got a Cat, Hotel Coste's 4 on repeat in his DB7. DJ for hire, rapper and part time barista. Extra in Reservoir Dogs and stunt pooch in Marley and Me. MP for Hammersmith & Fulham. Jigme loves nothing more than a night in lying on the settee watching back to back episodes of Love Island. Dog's dream too you know!